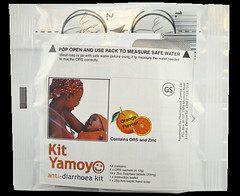 The Kit Yamoyo anti-diarrhoea kit was conceived by ColaLife, a UK Charity, which asked itself the question: Coca-Cola seems to get everywhere in developing countries, yet essential, life-saving medicines don’t. Why? ColaLife worked with global health agencies, including UNICEF, and the Ministry of Health in Zambia, to study Coca-Cola’s techniques. We also consulted parents and carers of children in Zambia and more widely, and applied our learning to the design, marketing and distribution of a new, life-saving diarrhoea treatment kit. Kit Yamoyo contains the established global recommendation: ORS and Zinc, and also a small soap bar for hand-washing. Kit Yamoyo has achieved approval for general sale in Zambia, through ZAMRA and the Ministry of Health, and has won many health awards. It is now available in Zambia in a major supermarket chain, bringing it closer to people across Zambia. The Ministry of Health has adopted the product for Health Centres in some regions. Kit Yamoyo is manufactured by Pharmanova in Zambia, and is profitable. We are in the process of passing on a no-fee licence to them, to manufacture in Zambia. 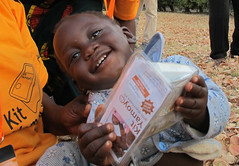 Zambian customers across the country can now try Kit Yamoyo for their sick children – and tell us their experiences. Our first trial showed compelling results. Perhaps the most important finding was that in the 12 months of the trial, children who received the recommended treatment for diarrhoea increased from less than 1% to 45%. We achieved this through twin approaches: redesigning the presentation of the global recommendation to better meet the needs of customers (a process of ‘human centred design’) and the development of existing distribution channels, which can even reach remote communities. These are already used for fast-moving consumer goods like Coca-Cola, sugar, salt, cooking oil. 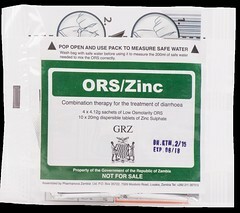 ORS and Zinc are ‘general sales’ items in Zambia and in most countries. So, we could learn from other products to establish a viable ‘value chain’ for Kit Yamoyo. This proved more important than the original ColaLife concept, which was to ‘piggy-back’ product within cola crates. But innovation is about failing and learning, as well as success: that original idea didn’t help distribution, but it unlocked other innovations – which worked. As with many innovations, pursuing the original concept accidentally revealed others, which worked better in real life. Following a successful trial, ColaLife is now leading a scale-up of the approach in Zambia. The two commercial formats of the Kit Yamoyo anti-diarrhoea kit incorporate all the learning from a robust, quasi-experimental 12-month trial, serving two remote rural areas of Zambia. They are: the Screw-top and the Flexi-pack. The contents are based on the WHO/UNICEF recommendations for a diarrhoea treatment kit but we have added soap to encourage hand washing and to give us a device to promote prevention. Zinc also plays a preventative role. 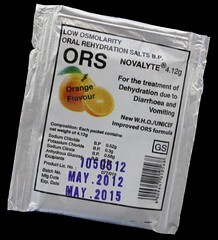 A key design breakthrough is providing packaging which can measure safe water for new, small format sachets of oral rehydration salts (ORS). The trial clearly demonstrated better mixing and ease of use, througn supplying smaller sachets than the conventional 1L. This resulted in strong customer confidence. The Screw-top has not yet been launched commercially although this is imminent (target Mar/Apr-17). The screw-top container is produced from a standard ‘pre-form’ already available in Zambia. It is heated and blown into our own Kit Yamoyo mould. For a better idea of how the mixing and cup features work please see the information leaflet shown below. The Flexi-pack was originally conceived as a refill for the Screw-top but has become the primary product. It contains the same components as the screw-top but without the soap. It is cheaper, yet retains the key functionality of measuring as the Screw-top. 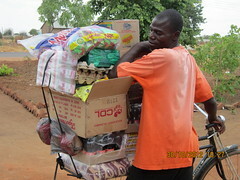 Price is crucial in the markets that Kit Yamoyo is aimed at. Despite its apparent simplicity, the packaging it quite sophisticated. It is a gusseted bag with an easy-to-open laser cut, and it stands up well when filled with water to measure what is required to accurately make up the ORS sachets provided. Instructions are printed on the bag and are also graphically displayed on the removable leaflet inside. The Flexi-pack is also produced in a government-branded version. This is identical to the commercial version above except the leaflet carries the government branding. This version is given away free in government health centres in Zambia. The video below shows the Flexi-pack in action. Focus group work carried out before our trial began revealed that customers (mainly mothers and carers of children in remote/poor settings) had difficulty measuring the 1 litre of water needed to mix the standard-issue ORS sachet. A litre is not well understood, and measuring devices are uncommon in many poor African homes. In any case, a child will only drink an average of 400ml in a day; one is supposed to throw away any remaining solution after 24 hours. So, following the instructions on a conventional 1 litre pack, customers are expected to throw away more ORS than they use. This is seen as a waste of ORS and – just as crucial – a waste of water, usually brought from a long distance. So, the Kit Yamoyo ORS sachets are designed to make up just 200ml of solution, with the packaging used as the measure for the water needed. This simple innovation led to 93% of Kit Yamoyo users mixing the ORS correctly compared to less than 60% of users who are given that standard 1 litre sachet. It also extended the number of days that ORS was given as there was no waste. Following the trial, our pharmaceutical partner started production of their own Zinc product. This gave us the opportunity to influence the design of the packaging. 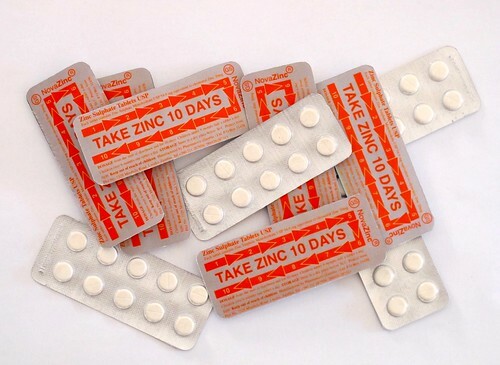 We have had great success, through design, in increasing the adherence to the correct mixing of ORS and through this blister pack design we expect to increase adherence to the correct Zinc regime (10 days). The information leaflet for the Screw-top and the Flexi-pack are the same: a double-sided, single-fold format. We have gone away from a tri-lingual design, which we found that very few people read, to the use of minimal text in English only, and simple diagrams. 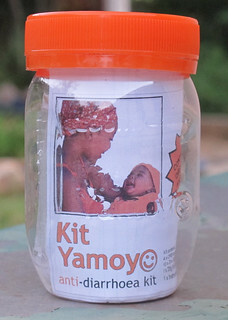 The kit yamoyo ORS is good for diarrhoea treatment when the child is having loss of water. Does it works also for adults. Yes it does also work for adults although adults may need additional ORS as the volume of diarrhoea will be greater. The zinc in the kit is sufficient for adults. They should take one tablet a day for 10 days just like children over 6 months of age – the dosage is the same.